Spacious zero step ranch, backing to woods, is looking for a new family. All rooms are freshly painted & 5 base boards have been installed. Refinished wood floors flow through most of the house providing minimal transitions. Windows flanking the FP in the great room overlook the level fenced back yard. Enjoy outdoor relaxed dining on the deck or on the covered patio outside the LL W/O. The master bedroom has a large walk-in closet, great view & a private bath with dbl vanity, separate shower & tub. Ceramic tile, updated lighting & vanity in the hall bath with a low step shower. The W/O LL has a BIG rec room 1/2 bath & laundry area. The unfinished area of the basement provides tons of storage space. 36 interior doors & a large hall area allow for moving easily through the house. The house offers a 36 from the sidewalk to the front door, a ramp from the garage into the house & a Guardian by Generac Power Systems. 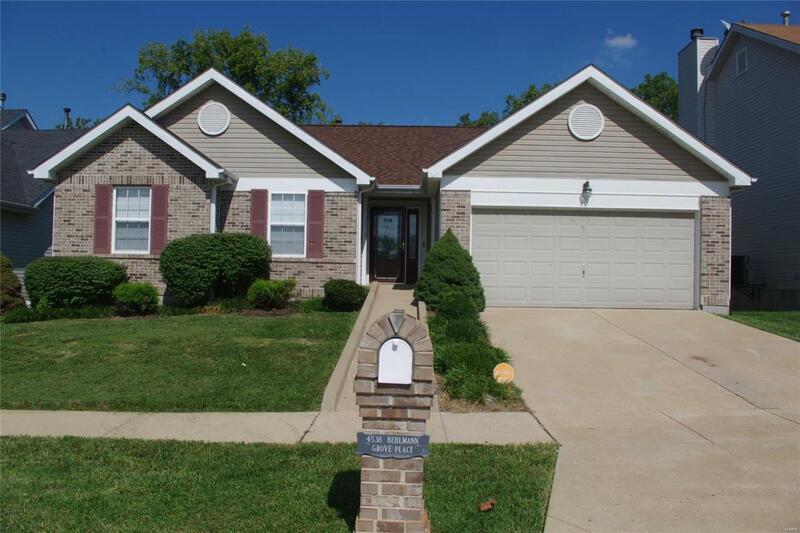 This lovely light & airy ranch is waiting for you to call it home.